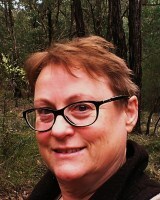 Ingrid has been the editor of the Weed Society of Victoria quarterly newsletter, Weedscene, since June 2014. She is keen to make a contribution to wider awareness and interest in weeds through the sharing of information on weed-related issues. Prior to moving to Melbourne from Western Australia, Ingrid had been working as a Natural Resource Management Officer, and she had research and teaching roles in Environmental Science at Murdoch University. Her work in mine rehabilitation investigated mine-pit revegetation and soil amendment for revegetating mine tailings. She has also undertaken research in tree water relations in plantation forestry.